Google Adsense is topmost Add serving company worldwide to share 68% revenue with users. Today I will discuss get Google AdSense approval to adopt 7 error correction of the site and how I took AdSense approval on Google hosted blogger blog. How took AdSense Approval On My Hosted Blogger Blog. I was not aware of the AdSense. Start to learn about the approval process. 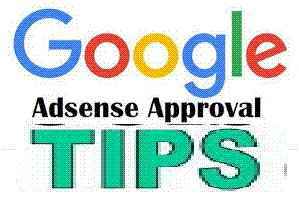 Read several blogs and Google AdSense Tutorial to know about the points, which are required for approval. Some points confused me like – sufficient traffic required for approval. To get advance confirmation for approval, I have submitted my site link with the question on Google queries. The answer, I received was that “your site is not up to the mark and looking very clumsy”, and advise me to change the site look and then apply. I could not understand, how they analyzed the performance of my site and the concerned authority did not advise me about changes, which are required as per Google Terms and Condition. He only looks at the site template and advised to change the look. I did not go with this advice and again re-check the site requirement as per Google TOS and applied for AdSense approval. This was my first application for my site “rajeshdeepakblog.blogspot.in”. My first application rejected by the AdSense team and send mail to work on some points. I again started to read the top blogger tutorial to the correction of the missing point. I would like to share the points of rejection, which was important to resolve the fresh submission of request. · Make sure that your pages have sufficient text - websites that contain mostly images, videos or Flash animations will not be approved. · Your content should contain complete sentences and paragraphs, not only headlines. · Ensure that your website is fully built and launched before you apply for AdSense - do not apply while your site’s still in a beta or “under construction” phase or only consists of a website template. · Place the ad code on a live page of your website. It does not have to be the main page, but test pages that are empty except for the AdSense ad code will not be approved. · Provide a clear navigation system for your visitors so that they can easily find all of the sections and pages of your website. · If you’d like to monetize YouTube videos, please apply for the YouTube monetization program. Note that blogs and websites that contain only videos will not be approved. When I worked on the above-given points and re-applied third times, the message I received was given below. Your Google AdSense application has been approved. You'll soon begin to see relevant Google ads appear on http://rajeshdeepakblog.blogspot.in. Your AdSense account only allows you to monetize the content that you create on AdSense host partner sites. To track the performance of your new Google ads and access more AdSense features, sign in to your AdSense account. If you later decide that you'd also like to implement AdSense on a domain that you registered yourself, we ask that you provide us with the URL where you plan to show ads. To submit this one-time review request form, follow the steps described in this help article. This was my first approval on Google-hosted blog. When I started my new blog with non-hosted account again I applied for approval, and AdSense team again approved another site that was “todayfirstevent.com”. The basic question is that which points are important for correction and how the blogger can fix it. I would like to share tips to get the approval. First, create your account in G-mail and start your blog with Google hosted account – blogger.com. When you get the approval, may add another no hosted site by the application. Do not apply with insufficient content. The first point which blogger should care that site should have sufficient content. I cannot predict the exact number of post required. But 20 to 25 good quality contents are necessary. Don’t copy your content from other sites, focus on unique content. If Google adds the points again in rejection ‘insufficient content’ then add 4 to 5 post before re-submission of the request. All post should be indexed in the Google Search Engine. It is necessary because organic traffic required crawling site content by Google crawler. Google engineer can manually check site performance. What will the length of blog content for Adsense approval? The second point should be that you have to write the unique content in 500 to 600 words minimum. Long content approach more traffic on site, so if you expand it in 1000 to 2000 word than that will be more beneficial for site performance. If your site is having sufficient content then leave this point. Page Navigation is the very important part for approval. I could not understand that how I resolve this issue. I would like to share the details to fix this issue for the search engine. Navigation is important for the site. One is page navigation and second is site navigation. Site navigation means visitors can search everything on your site by using single points. 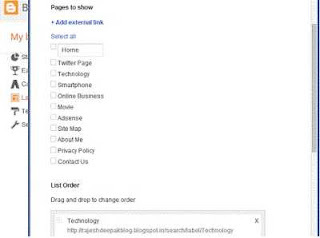 You have to also add sitemap page in your site and index in search engine. Blogger should add two search points in the site, one in the upper part and second in the bottom of the site. 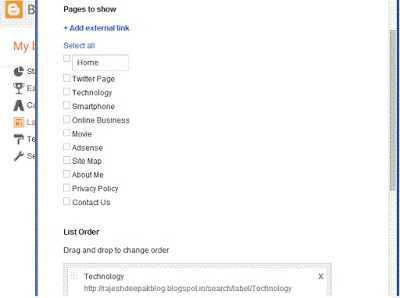 Similarly, your sitemap and page link should be also available in the bottom part to search site content easily. If you add new pages in the site, go to the blog dashboard and press layout option. Tick on pages and press on “Add External Link”. Now go on site and copy the link of the page. Again go to layout and press adds external link option. Then place the link there and confirm from List Order. Save this arrangement and now page navigation issue has been resolved. Place AdSense Code on Active Page. Generate AdSense code and place in an active page of the site. That will show blank before approval. Code placement is vital for activation. The search engine crawls the only page, which receives traffic. I have placed AdSense code on the left side of the site. Google team advises monetizing your site with the youtube video. It is not compulsory but if you open channel on youtube for your site tutorial then that will be beneficial for traffic and monetization both. I am giving these tips only on my experience. 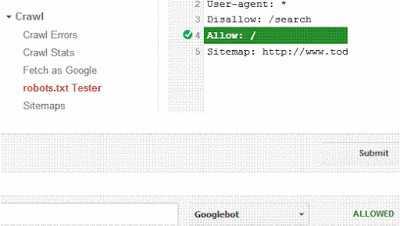 If your blog has the least number of blog posts and applied for AdSense, then log in Google Webmaster, press robot.txt option, and place site address. Press test and then submit for crawl your site again. That will help to generate traffic to search your site by Google. If the site is already receiving sufficient traffic then it is not necessary. I think these points are basically hurdled to get AdSense approval. If any blogger short out these issues they definitely get approval without any difficulty. I also want to share that, I got approval from the AdSense team on my Google-hosted site, and then started to launch the new blog with new domain .com. The traffic on the site has increased in double figure. Google AdSense team was given approval on 2nd-time request. The best way is to start your site with the premium domain name and follow the TOS of Google AdSense. You will get the positive result in the 1st request. I am suggesting this point because you will not be applied again and again approval. The site on Google hosted account will not receive sufficient traffic and Google has full authority to ban and stop your site anytime. I have faced problem on hosted site – blogspot.in, that indexed post was deleted from the list. That impact on site traffic. So, I purchased the premium domain and started to write on a new site. Great improvement was on the traffic side. These details are helpful for the new blogger to make site error-free before submitting the application for AdSense approval. Share your view by your comments and mark the mail to know more.